Listowel Honda wants to be your number one destination for all of your Honda parts needs. Because our technicians use only genuine Honda parts in all of their repairs, we have a full inventory in stock and ready to go. For do-it-yourselfers, or mechanics looking for parts for a repair, or specific parts to improve the performance of your Honda, we have you covered at Listowel Honda. Come in today and let our experts at Listowel Honda guide you to the part you need. 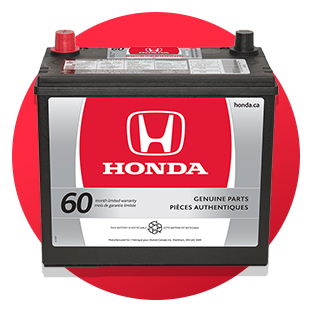 From batteries to brake pads to wiper blades, we have the right part for your Honda waiting for you. If we don’t have it stock, we can order it and let you know as soon as it arrives. It’s as simple as that. Come into Listowel Honda and let us find the part you need. Honda parts have been designed specifically for your vehicle, and only Honda genuine parts and accessories can preserve the look, performance, reliability, and resale value of your Honda. Don’t compromise when it comes to parts, contact us today at Listowel Honda.